Sleek little laptops are nothing new--I recall drooling over a Toshiba Libretto back in the day--but something's in the water at the design houses lately. We're seeing all sorts of new notebooks pushing the envelope in different directions. Probably the most obvious place to start is with the new Dell Adamo (check out the funky design) that I got a sneak peek at...and that Dell has started letting slip to different Web sites. When Dell spokespeople showed off the machine, they were a little too sheepish to talk about what's going on under the hood. In fact, they weren't even certain whether to even bring the new Adamo to market. There's been no discussion of battery life, no mention of what it could muster for horsepower. One could hazard a guess its hardware will probably be less impressive than what Dell squeezed into the original Adamo. Here's what I can tell you: As you can see, it's got a unique hinge system. Plop it in your lap and, surprisingly, it's well-balanced and manages to work effectively. 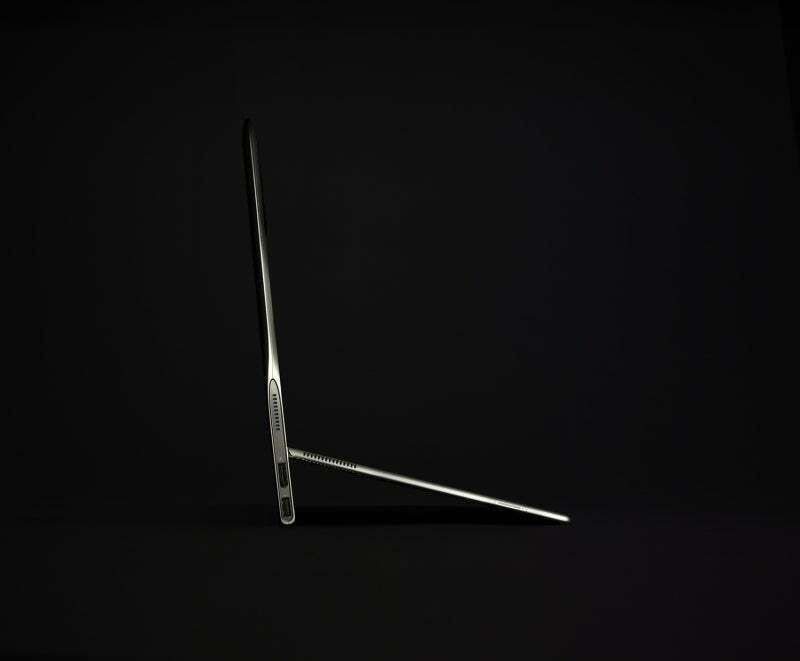 Other points of interest: The profile is a ridiculously thin 0.39 inches. Take that, MacBook Air! Something this slick is sure to get you noticed by that hot flight attendant on your next trip. And, really, that's what it's all about. Now that I have your attention, let's recap some of the other more ludicrously cool computers as of late. 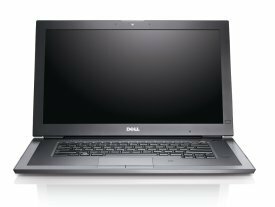 Dell recently released the Latitude Z600. That future-forward machine has been covered to death at PC World, so I won't belabor the point. Personally I dig the machine and its wireless charger. 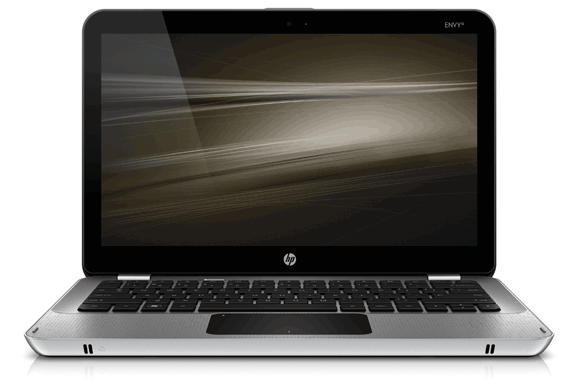 Then there's the HP Envy 13, which I had the chance to test. Besides a very Maclike design (in fact, it's very un-Voodoo-y for an Envy), one thing that surprised me was its audio. I'll admit, I like Beats headphones well enough, but I thought that was a branding gimmick at first. They really do boost the audio. The tech built into the Envy 13 (and 15) provides richer sound even if you just use basic headphones, though. The Envy 13 has pretty much ruined my audio appreciation for other laptops. Take that as a compliment, HP. Late last week, Sony let everyone know the specs of its latest bit of hot mobile hardware, the VAIO X series. This 1.6-pound silicon sexpot is thin (0.55 inches) and starts at a mere $1300. I've seen it up close and personal. Trust me, even though it's slimmed down to the point of almost ensuring anemic computing, you'll still be tempted to buy a VAIO X. And that leads me to this week's big question: Is this what companies should be pushing right now? I mean, even Apple, the company that you'd expect to charge a huge premium for its gear, is now actually charging less than the manufacturers I mentioned here. You'd think that PCs of privilege wouldn't sell well in this economy. The only rational justification I can come up with for high-end beauties like these is this: Think of these computers like ultra-expensive cars the average consumer will admire, but never be able to buy. But that doesn't make me feel any better about paying top dollar for low-performance parts. In short, size matters. What are your thoughts? Substance, style--or something in-between? 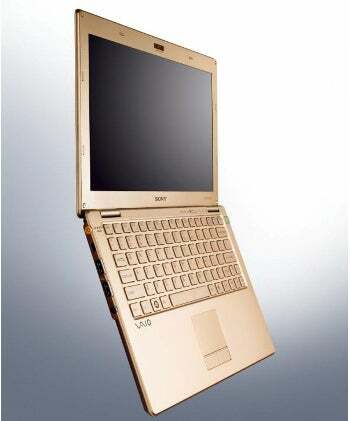 Hit the Comment box below or send e-mail to PC World with "ATTN: Laptops (Style? Stubstance? I just want a computer!)" in the subject line. Need even more nerdity? Follow PC World Senior Writer Darren Gladstone on Twitter (gizmogladstone) for oddball links, 140-character game reviews and whatever else comes to mind .